You can find Marks & Spencer at 54 Princes Street, about a 0.26 mile drive west from the centre of Edinburgh (near Scott Monument, St Andrew Square Station and East Princes Street Gardens). This store is glad to serve customers within the areas of Stockbridge, Canongate, West End, Fountainbridge, New Town, Broughton, Old Town and Edinburgh City Centre. Doors are open here today (Monday) from 8:00 am until 8:00 pm, for those who would like to drop by. 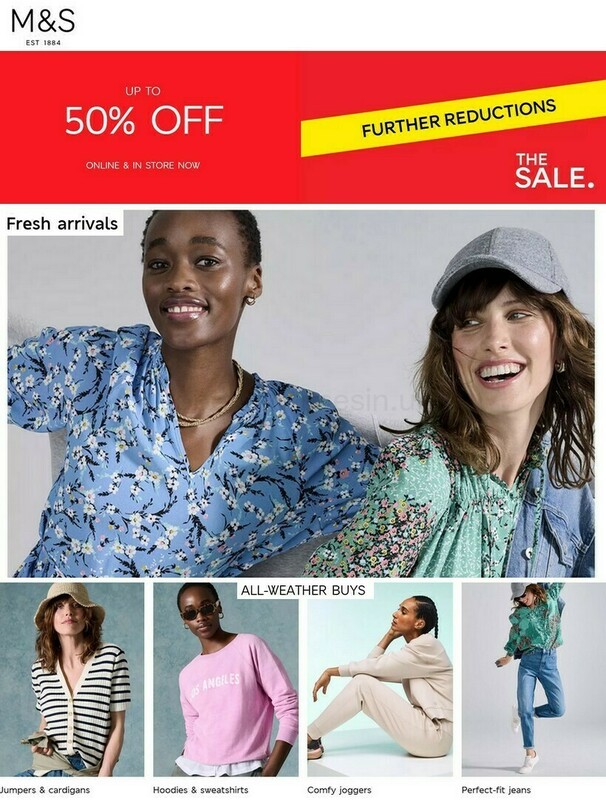 This page will provide you with all the information you need about Marks & Spencer Edinburgh, Princes Street, including the hours of operation, address, email address and additional details. Marks & Spencer is situated not far from the crossroads of Princes Street and South St David Street, in Edinburgh, Midlothian. Only a 1 minute trip from South St Andrew Street, George Street, St Andrew Square or Rose Street; a 5 minute drive from Nicolson Street, Leith Street and North Bridge; or a 9 minute trip from A7 / South Bridge or A1 / Regent Road. EH2 2DQ is the postcode when using route finder systems. There are bus stops at South St. David Street, Scott Monument, George Street and Waverley Steps. The best lines to get here by are 1, 4, 5, 12, 13, 15, 22, 25, 26, 31, 34, 37, 44, 45 or 100. Take a tram ride to St Andrew Square (620 ft), Princes Street (1100 ft) or York Place (1600 ft away). Trains travel to Edinburgh Station (1090 ft) and Haymarket Station (1.20 mi away). Easily use the lines: ScotRail and Network Rail. Just a short walk away you might visit Royal Terrace Gardens, King George V Park, Bedlam Theatre, Calton Hill, West Princes Street Gardens and Queen Street Gardens. There is presently a total number of 8 Marks & Spencer branches operational in Edinburgh, Midlothian. Browse this page for the entire list of all Marks & Spencer locations near Edinburgh. Please note: standard business hours for Marks & Spencer in Edinburgh, Princes Street may be restricted during the holiday period. In the year 2019 it applies to Christmas, New Year's Day, Good Friday or Early May Bank Holiday. It is recommended that you go to the official homepage or phone the direct number at 0333 014 8555 to get verified information about Marks & Spencer Edinburgh, Princes Street seasonal working times. We work to provide you with the latest information as possible. Should you find discrepancies in the contact details or business times for Marks & Spencer in Edinburgh, Princes Street, please let us know by utilizing the report a problem form. Please feel free to support potential patrons by sharing your opinions on Marks & Spencer in the space provided below.